Indiana Jones & The Iron Phoenix #1-4 [1994, Dark Horse] Complete Set! 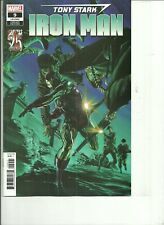 New ListingIron Man: House Of M #s 1-3,Complete Series-VF/NM,Combined Shipping! The Amazing Spider-Man #529 (Apr. 2006, Marvel) NM- (9.2) 1st. Iron Spider !!!! !